White whiskey is having something of a revival, but it can easily be over-powered in traditional whiskey cocktails. 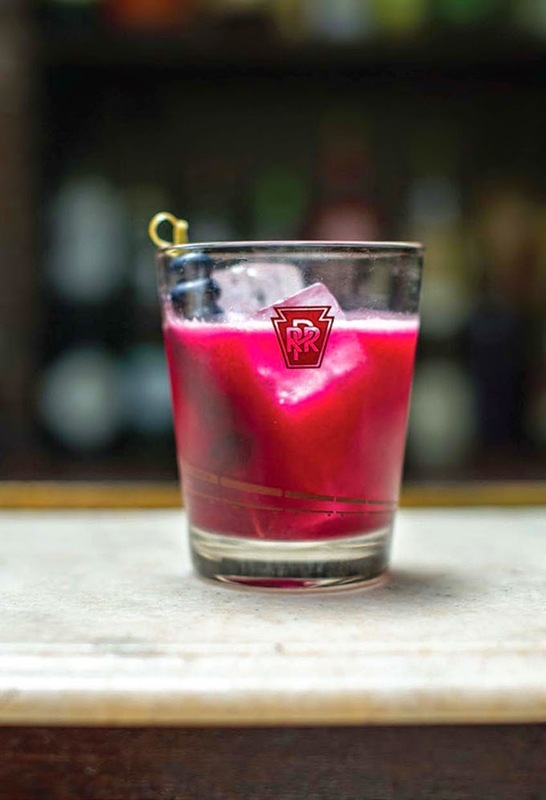 In this berry sipper, however, the delicate flavors of freshly distilled liquor shine. Combine whiskey, lemon juice, preserves and butters in a cocktail shaker with ice. Shake vigorously for 10-15 seconds. Strain into an Old Fashioned glass filled with large ice cubes. Garnish with a skewer of fresh blueberries. Notes: Your favorite micro-distillery probably makes an unaged white whiskey, but if you're strolling down the aisles at your local liquor store looking for a bottle, I recommend the Buffalo Trace White Dog (a common nickname) or Jack Daniels' Unaged Tennessee Rye. Cheers! Image by Daniel Krieger for The Old-Fashioned. That is just too beautiful. So beautiful! The color is so incredibly vivid that even if the drink was awful (which, thankfully, it's not), I'd still have to feature the photo!